Today we talk about the principles of usability in an APP and what we should pay attention to in the design. Many books have been written on web usability, on the principles of web usability, on tricks and tips etc., and although the world of mobile devices and apps is booming and gaining a lot of ground, there are few references about Usability in this sector. 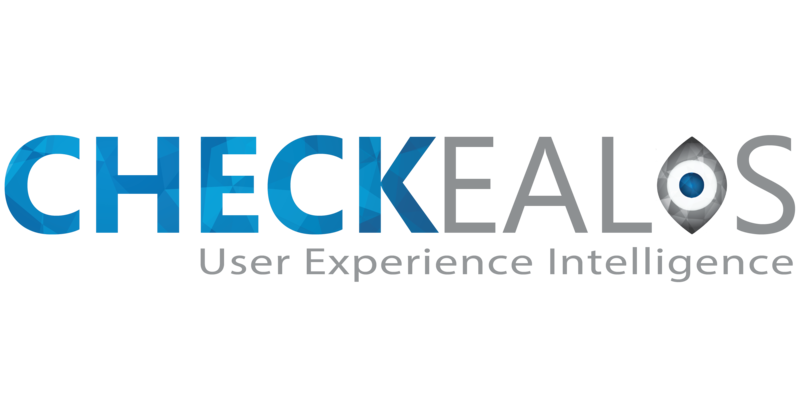 Given the importance of having good usability in our mobile applications, Checkealos wrote today, among others, about what are the principles of usability in an APP, and how they are determined and what we should pay attention to the usability in designing these. If the app is used vertically and with only one hand, you must take into account the length of the fingers and how far they can reach comfortably. If it is used vertically and with two hands, it is necessary to take into account the way in which the device will be held with the other hand and to prevent that the hand that holds the device obstructs the pulsation of links or the reading. On the other hand, if the app is used horizontally and the device is held with both hands, it is necessary to take into account the length of the user’s fingers that will hardly touch comfortably links or buttons that are on the top from the screen. The user of the mobile applications is more interested in the content than in the interface, in the graphic design etc. Due to various circumstances like time, screen size, … the user of apps wants to focus on the content, to be shown quickly, directly and clearly. Interface, design and other factors are important, but content is what really interests the user. In this sense, the images are of great value to the user and the text should be clear, concise and direct. 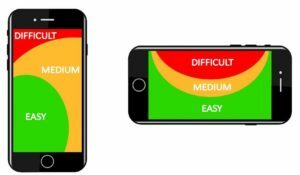 The size of texts, buttons and images in applications is smaller than in a web because of the limitations of sizes and resolutions of the screens of mobile devices so that all elements must be scalable so that the user Can read them, consult them and press them more easily and avoid mistakes. An APP must be fully optimised for use on mobile devices, if possible for all types of devices and for all types of operating systems and platforms. That is, if we design an app we must take into account the limitations of screen sizes, resolutions; We can not design an app so that when used in a horizontal position, its width is not completely displayed and horizontal scrolling is necessary. To avoid this type of usability errors it is advisable to use adaptive or responsive designs. Or if a platform or operating system does not support flash animations, we can not offer an app that contains animations in this format. WHAT DO WE HAVE TO PAY ATTENTION TO IN THE MOBILE APP? What is the purpose of the app ? : The distribution, options and number of elements will depend on the type of App and its purpose. 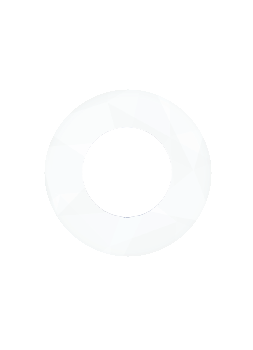 Who will use it ? : The App will be designed based on the profile of users who will use it. What needs does the user have ? : Depending on the profile of our end users, the App will have to cover a series of needs or others, with some options and functions or others. What do we want to offer? What do we expect? : What we want to offer through our App, what we expect the user to do or get will be of special relevance when designing our App. The App always in the same window:On certain mobile devices, switching windows is complicated and can cause confusion, so the app and its screens are convenient to always be displayed in the same window. Do not exceed 70 characters per line: Including lines longer than 70 characters may make it difficult to read on mobile devices. Standard icons: It is advisable to use standard or easily recognizable icons. 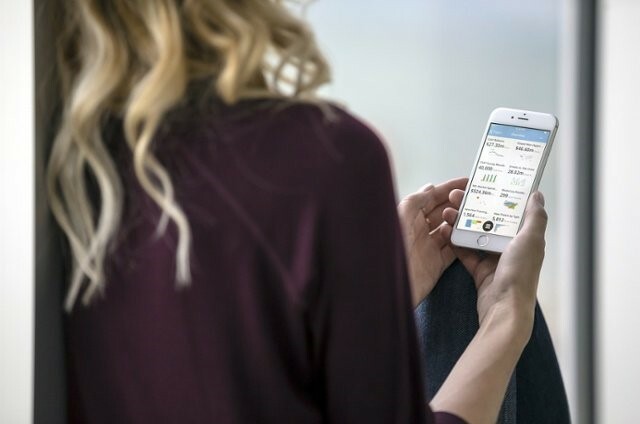 Intuitive App: Navigating on a device is not always comfortable so, the app must be intuitive, the user has to be able to scroll through the different screens and options without thinking. Key highlights and quick access sections: The main sections and functions have to be clearly highlighted and have to be easy and quick access for the user. Minimise the scripts executed by the client: Mobile devices have hardware limitations so running a large number of scripts on the device can slow and even block the App. Avoid downloads: Mobile devices suffer incompatibilities with various types of files and downloading files can overwhelm the device capacity. Logo link: In an app it is very convenient for the user that the logo is a link to the main page. Do not limit functions: It is not convenient to include functions that can only be performed in a way such as talking, moving the device, … alternative methods should be offered as buttons. Blocked in the design of your app? Find out how our usability and user experience specialists can help you.